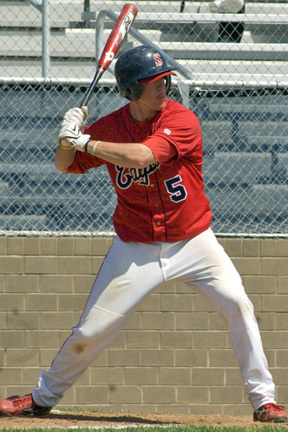 2008: Played 50 games as a sophomore, making 49 starts...tied for the team lead with five home runs and tied for fourth with 31 RBIs...batted .280 and had 32 runs scored...had 10 multi-hit games and nine multi-RBI contests...had a season-best seven game hitting streak...had a season-best four hits and three RBIs against Quincy University...set the USI single-season record by being hit by a pitch 20 times. 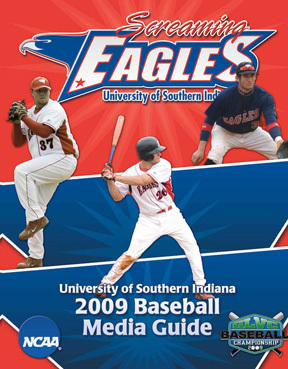 TRANSFER: Joins the Eagles after playing last season for Jackson State Community College (Jackson, Tennessee)...batted .297 with 35 RBIs and 13 doubles in his only season with the Generals...began his collegiate career by redshirting at the University of Memphis in 2005. HIGH SCHOOL: Lettered in baseball, basketball, and football at Clarksville High School (Clarksville, Tennessee)...batted .400 with four home runs and 38 RBIs as a senior...named the 2005 The Leaf-Chronicle's All-Area Baseball Co-Player of the Year...also was selected as the All-Area Football Player of the Year as a senior...had a 21 game hitting streak in 2005. SUMMER BASEBALL: Named to the Central Illinois Collegiate League All-Star team, representing Dubois County Bombers....helped the Bombers to a first place regular season and tournament crowns...batted .264 with 29 runs scored, 21 RBIs with nine doubles, two triples, and one home run. PERSONAL: Born September 5, 1986...son of Mike Fink and Cindy Marsh.